Are you excited about how God is using ServingHIM? Share with your friends and family on Facebook and Instagram. Check out and LIKE our Facebook page and FOLLOW on our Instagram page to stay up to date on all the latest ministry news and words of encouragement. 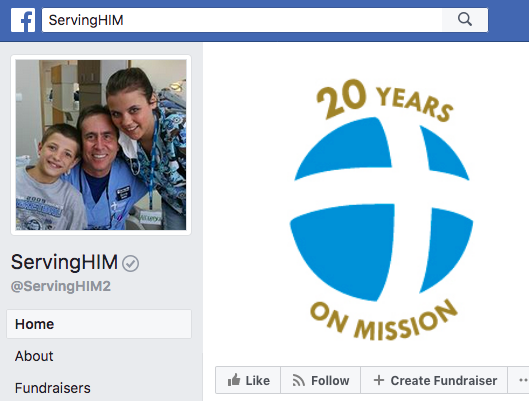 Invite your friends and family to follow ServingHIM as well.